← Are You Getting Enough Ascorbic Acid in your Diet? By Mariely Lopez, a Nutrition Communication Undergraduate at Arizona State University and additional contributions by Arizona Farm Bureau Staff. 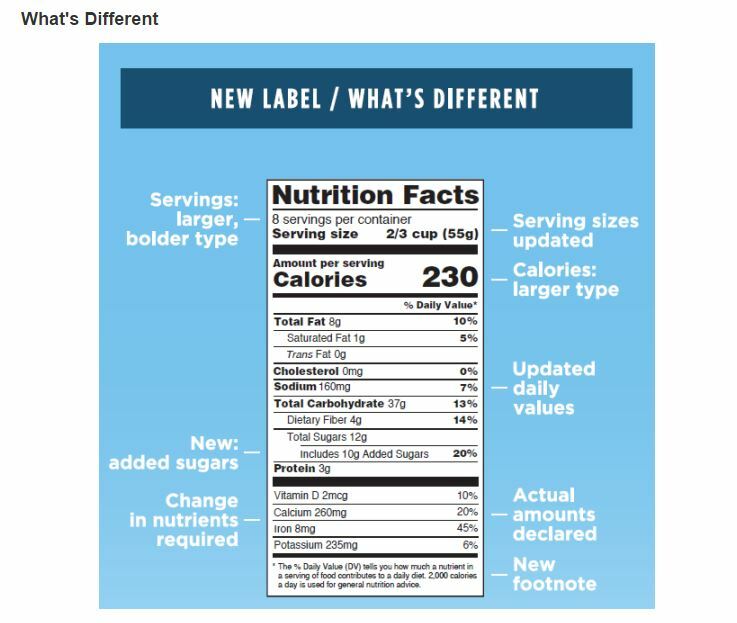 Last Friday (May 20th), The White House released the first major update of the Nutrition Facts label for packaged food in more than 20 years, which will include, among other things, a line that states the amount of sugar added to the product during processing. 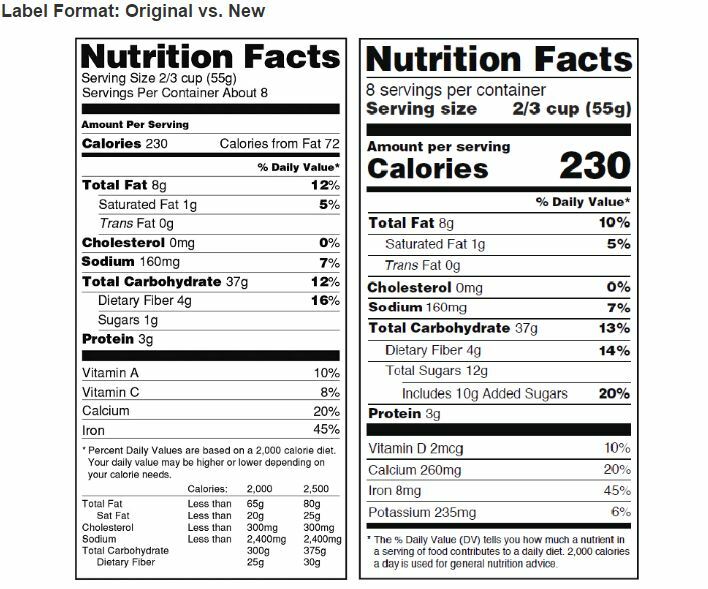 The American Journal of Clinical Nutrition and others had previously advised the U.S. Food and Drug Administration (FDA) to modify the Nutrition Facts Labels to include added sugars. A study conducted by the Journal, dating from 2003 to 2010, where participants were asked to recall their meals within the last 24 hours, concluded that by changing the labeling of foods that contain added sugar, to state that they contain added sugars, will help reduce added sugar consumption. Currently, Nutrition Facts labels list the ingredients used and often times you can point out the added sugars, however, they do not tell you the amount of sugar added during the manufacturing process of the product. This now changes with the just released updated label requirements. Adam Drewnowski and Colin Rehm stated, “There are concerns that excessive consumption of added sugars has contributed to the U.S. obesity epidemic. The potential links between intake of added sugars and obesity and other outcomes, including diabetes and cardiovascular disease, have become a matter of public health concern.” There is no doubt that added sugars are one of the key contributors that lead to chronic diseases, such as the ones Drewnowski and Rehm mentioned. Implementing the amounts of added sugars to food labels would increase awareness and will, in turn, help lessen the disease epidemic. As stated above, added sugars are key contributors that may lead to chronic diseases, such as obesity, diabetes, and cardiovascular disease. Obesity, as we all should be aware, is a growing concern in the United States. More than 68% of adults are considered overweight and about 35% are considered obese, according to Weill-Cornell Medical College research group. Most, of which, is due to the intake of high-calorie products and other contributing factors such as lack of physical activity, according to a study conducted at the New York Presbyterian Hospital. Added sugars, often times are the contributors to food products that are high in calories, for example, soft beverages. Soft beverages use added sugars and are a source of empty calories, which increase one’s chances of becoming overweight and/or obese. Becoming overweight and/or obese is linked to a number of other health complications. One of the complications that are associated with obesity and high sugar consumption is type II diabetes. Type II diabetes is directly linked to glucose (sugar) levels and the body’s inability to produce insulin. Our pancreas produces insulin that helps maintain normal sugar levels, but over time it loses its ability to maintain our sugar levels at a healthy level due to the fact that we indulge in food products that are high in sugar on a regular basis; Basically our pancreas has trouble keeping up with our overconsumption and can no longer regulate our sugar levels, explains diabetes.org. Another health complication is cardiovascular disease. Cardiovascular disease is the leading cause of death among older adults and it is due to the plaque build-up in the walls of the arteries. Plaque is made up of cholesterol in combination with fat, calcium, and other substances, according to the American Heart Association. Now, you may be asking yourself, “How is this connected to the amount of sugar I consume?” Well, here’s why: When we indulge in foods that contain high amounts of added sugar our body uses only some of it for energy and the rest is turned into fat. This fat then gets sent to different areas in the body, one of them being our arteries that can lead to cardiovascular disease. For packages that are between one and two servings, such as a 20-ounce soda, the calories, and other nutrients will be required to be labeled as one serving because people typically consume it in one sitting. Compliance will be required two years from today, the White House said. Manufacturers with less than $10 million in annual food sales will have an additional year to comply. The new Daily Value for added sugars will be 50 grams, or about 12 teaspoons-an amount representing 10 percent of the daily 2,000 calories recommended for many adults. Once the rules are implemented, the Nutrition Facts label on a 20-ounce bottle of Coke, for example, would likely show that it had 130 percent of the added sugars limit for a day. The new labels will help consumers looking at labels for foods like yogurt, jams, or cereals know how much of the sugar comes from fruit or milk, and how much comes from high-fructose corn syrup or other added sugars. The new label regulations will not apply to certain meat, poultry, and processed-egg products, which are regulated by the U.S. Department of Agriculture, not the FDA. Many Arizona families, Americans in general, already have scaled back on sugar in the last several years due to the recognized health risks of too much sugar in our diets. As a result, food and beverage makers have made adjustments to the amount of sugar in their products. As a result, some manufacturers and the Grocery Manufacturers Association says distinguishing between added and natural occurring amounts of sugar in a product that is then posted on labels is unnecessary because they have the same effect on weight gain. They contend that scientific tests can’t tell the difference, making it difficult to measure how much added sugar is in a food or drink. As an example of food companies responding to Americans’ interest in less sugar, General Mills cut sugar in its regular Yoplait yogurt by 25% last year. Danone SA’s Dannon has cut sugar in its various yogurt brands and says three-quarters of its sales now come from products with 23 grams or less of sugar. Ultimately, nutritionists continue advocating for Arizona families to take control of their own diets and seriously monitor their sugar intake. 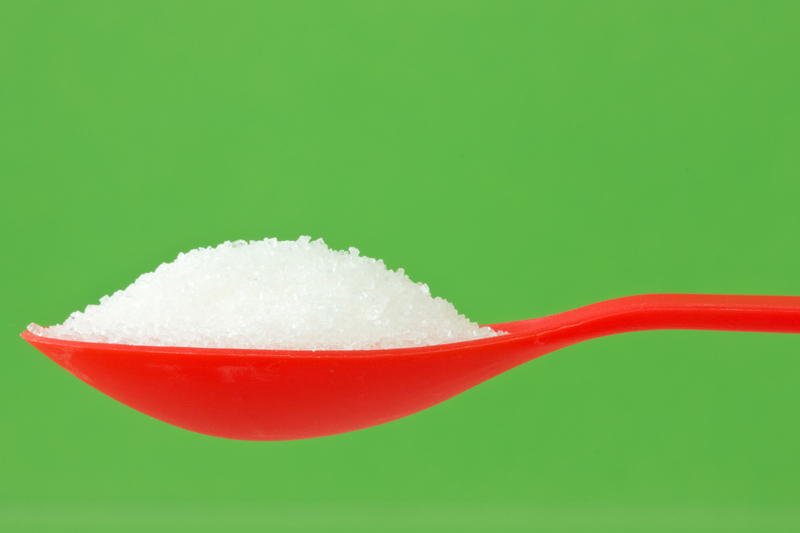 Regardless of labels, some simple ways to reduce sugar consumption exist. They follow. Stick to eating basic foods: fruits, vegetables, lean meats, dairy, eggs and whole grains. Reduce the amount of processed foods, such as packaged snack foods, you eat. For a sweet snack grab an apple or orange instead of a candy bar. Reserve cakes, cookies and other sweet treats for special occasions. We don’t have to deny ourselves but we certainly don’t have to have a bowl of ice cream every night. Avoid soda. Consuming sugary beverages are where in one drink we exceed our daily recommended intake of sugar. Drewnowski, A., and C. D. Rehm. “Consumption of Added Sugars among US Children and Adults by Food Purchase Location and Food Source.” American Journal of Clinical Nutrition. 100.3 (2014): 901-07. Web. Wright, Suzanne M., and Louis J. Aronne. “Causes of Obesity.” Abdom Imaging Abdominal Imaging 37.5 (2012): 730-32. Web. This entry was posted in Food, Health Tips, Healthy Eating and tagged food, Glucose, Health, Label, Sugar. Bookmark the permalink.